New Jersey Gov. Chris Christie is taking explicit aim at 2016 rival Marco Rubio, saying that the Florida senator lacks “depth” when it comes to making decisions. Christie first made the statement in an interview in The Atlantic, after interviewer Jeffrey Goldberg asked him about a slate of presidential candidates, including Rubio. 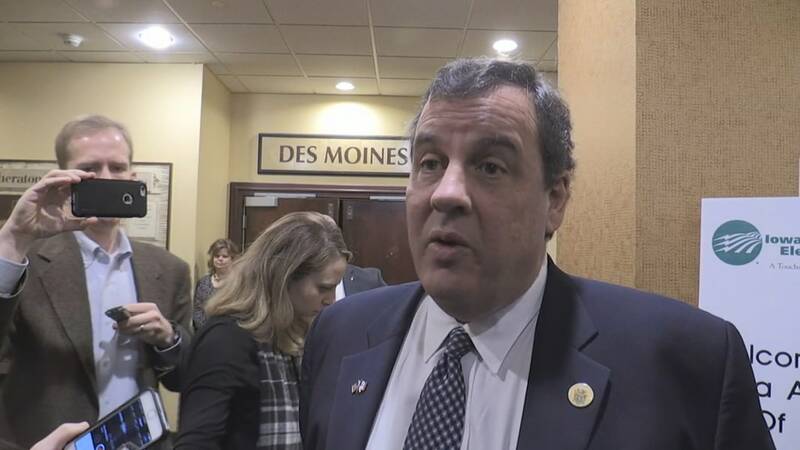 “There’s not a lot of depth there,” Christie shot back, referring to the first-term senator. The New Jersey governor went on to argue that he has “much greater depth at making decisions” than Rubio, who was elected to the Senate in 2010. Rubio has served on the Senate Foreign Relations Committee and frequently emphasizes his knowledge of world affairs in GOP debates and on the campaign trail; Christie was elected governor in 2009. “He has not had to make executive decisions. And it¹s much different than just being one of a hundred and one vote in a subcommittee,” he said. Rubio said on FOX News Thursday that he agrees with Christie on many issues and emphasized his own foreign policy credentials rather than swiping back at the New Jersey governor. “With all due respect, I don’t think there’s anybody on that stage who has a better understanding or has shown better judgment on the issues confronting our country than I have,” Rubio said. Christie has previously concentrated much of his fire on candidates who he says are too lax on national security issues, slamming Sens. Ted Cruz and Rand Paul for their support of a measure that unwound NSA surveillance practices. Rubio voted against that legislation. On Friday, Christie argued that his experience as a governor trumps that of each of the three senators seeking the presidency. “If you have a governor in the Oval Office who has had to fight with the federal government for the last six years, you’ll respect the sovereignty and the authority and the wisdom of doing things at the state level, not trying to do everything in Washington, D.C.” he said. In a CNN/ORC national poll released Friday, Rubio ran fourth among Republican voters, getting 12 percent compared to Donald Trump’s 36 percent, Ted Cruz’s 16 percent and Ben Carson’s 14 percent. Christie placed fifth, at four percent support.